It's a natural look for your home and for the way you want to live. More pleasures and fewer chores. Laminate is available in all the natural looks you love, each one as beautiful as the real thing. 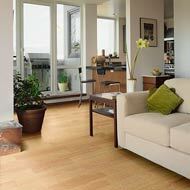 Laminate flooring is very easy to clean and maintain. Simply wipe away dirt with a moist cloth. No wax is needed. Just sweep, dust or swift for general cleaning. Do not use the swifters that leave a waxy film, use the swifters that clean with static electricity. You may damp mop a laminate floor just don't put a lot of water on the floor. You must squeeze out as much water as possible before you apply the mop to the floor. Too much water can cause buckling along the seams. Every floor is non-allergenic and does not absorb odors. 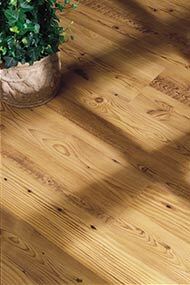 Most all stains will lift out of a laminate floor including Easy and like hardwoods, the finish hides a lot. Laminate cleaning products are easily available.